Star Wars is one of the most loved film franchises of all time. Fans in Michigan have the opportunity to celebrate all year long with events throughout the year. The events range from baseball games, hockey games, comic cons, and going to your local movie cinema. The year 2017 celebrates the 40th anniversary of the theatrical release of “Star Wars”. Many of the events center around May 4th, which is Star Wars Day. The name comes from May the Force Being With You sounding similar to May the Fourth Be With You. Don’t worry if you’re reading this article after May 4th, as the state of Michigan offers many opportunities to celebrate your love for Wookies, Bounty Hunters, and Droids the rest of the year. Here is a look at our 2017 calendar of notworthy Star Wars events in Michigan. If you believe there is an event that should be on here, please comment below or reach out to us via email (travelthemitten@gmail.com). For more local events, be sure to check back with the Great Lakes Garrison page to see where costumed members will appear. 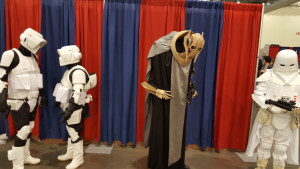 The Great Lakes Garrison is the Michigan chapter of the 501st Legion and continues to represent the state in raising money for charity while sharing a passion for Star Wars. May 1 – May 31st – May the Fourth Be With You Virtual 4K. You don’t have to travel far to celebrate Star Wars and support a great cause with this great event. Run a 4k course (2.5 miles) on a treadmill, track, or anywhere to complete this virtual race. Registering for this event gets you a cool BB-8 medal and a themed t-shirt. It is not necessary, but highly encouraged to share a photo of you completing the run with #EpicMay4th . Medals and shirts will not be shipped out until June 15th. A portion of the proceeds will go to Make-A-Wish Foundation of Michigan. 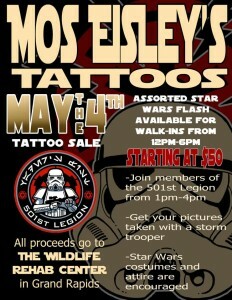 May 4 – Mos Eisley’s Tattoos in Grand Rapids will celebrate Star Wars by offering select Star Wars tattoos for $50. Also get you picture taken with a Storm Trooper and meet costumed members of the local 501st chapter (Great Lakes Garrison) from 1pm to 4pm. May 4 – Star Wars Party at Harmony Brewing in East Grand Rapids. From 5pm to 11:45pm, this brewery will celebrate Star Wars with themed beers and cocktails, Star Wars music, and encouraging fans to wear costumes of their favorite characters. Members of the local 501st chapter will be on hand from 6pm to 9pm. May 4 – Star Wars beer at Eternity Brewing Company. 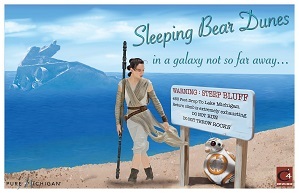 If you’ve been to this brewery in Howell, you may already know how much they love Star Wars. Eternity Brewing has Star Wars themed beers different times of the year and does regular events around the franchise. For Star Wars Day 2017, the brewery will offer four versions of its Star S’Mores in cans and on tap. You can try A New Mallow, The Mallow Strikes Back, Return of the Mallow, and The Mallow Awakens. May 7 – The Music of John Williams by the Grand Rapids Symphony. Celebrate the musical legacy of the Star Wars legend himself. The Grand Rapids Symphony will play songs from several Star Wars movies along with hits scored by Williams in movies like “Superman”, “Hook”, and “Saving Private Ryan”. Tickets start at $18 and are available for $5 for students. 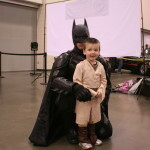 May 19, 20, 21 – Motor City Comic Con. 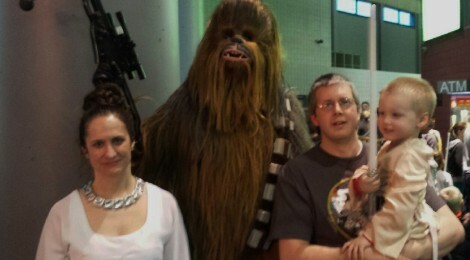 Michigan’s largest comic book convention will feature many booths of Star Wars merchandise for sale. Check out local artists and their Star Wars themed drawings available for purchase. May 26 – 28 – Cherry Capital Comic Con. 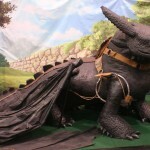 Northern Michigan’s largest comic con will be held at the Grand Traverse Resort. Check out booths of Star Wars related items for sale and see fans dressed in their favorite Star Wars costumes throughout the weekend. 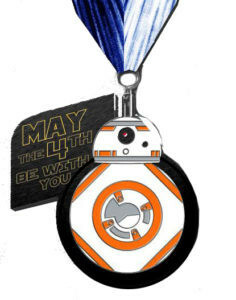 June 10 – Midland Recyclers Star Wars 5K Run/Walk. This is one of the most unique Star Wars events you will find in the state of Michigan. Head to the Midland City Forest dressed in your Star Wars costume to run or walk a 5K course. Bring the kids to complete in a one mile Jedi Training Course, where they will build a light saber, complete light saber training, and travel through an asteroid field. The event is put on to benefit a recycling effort by the city. June 17 – Star Wars Night with Lansing Lugnuts. Meet Star Wars characters throughout the game. Enjoy free post-game fireworks. 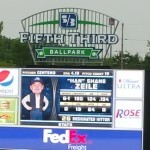 June 24 – Star Wars Night with the West Michigan Whitecaps. Head to Grand Rapids for this annual event that features more than 20 costumed characters, a photo booth, and Star Wars related giveaways. The first 1,000 fans in attendance will get a BB-8 Hat. Arrive early or get tickets in advance for this game that typically sells out. Stay late for free post-game fireworks. 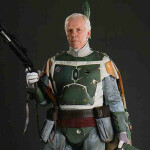 August 3 – Star Wars Night with Utica Unicorns. This minor league baseball team will celebrate Star Wars with a themed night and encourage fans to wear costumes. It is also Western Michigan Night and WMU alumni get $5 off tickets. August 5 – Star Wars Night with Great Lakes Loons. 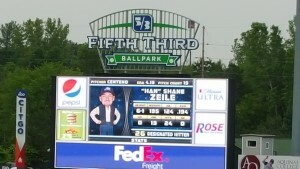 Celebrate Star Wars with characters at this baseball game. Bid on Star Wars themed jerseys worn by the players. Stay for free post-game fireworks. September 1 – Force Friday. Get to your local toy retailer to experience the launch of many new Star Wars toys for both the newest installment (The Last Jedi) and likely many continuing to celebrate the 40th anniversary of “Star Wars”. October 12, 13 – The Music of “A New Hope” with the Kalamazoo Symphony Orchestra. Catch the full length “A New Hope” playing on the big screen at Miller Auditorium as the Kalamazoo Symphony Orchestra plays the original score by John Williams. Don’t miss this event with two dates to choose from. October 20 – 22 – Grand Rapids Comic Con. The Grand Rapids Comic Con has a huge Star Wars presence in 2017. The annual fest features appearances from Billy Dee Williams (Lando Calrissian in Episodes 5&6), Julian Glover (General Veers in Episode 5), Jim Cummings (voice of Hondo on Star Wars: The Clone Wars), Clive Revill (voice of Emperor Palpatine in Episode 5), Greg Weisman (producer of Star Wars: Rebels), and Jason Spisak (voice of Lux on Star Wars: The Clone Wars). Along with these guests, members of the Great Lakes Garrison and Mandalorian Mercs will be on hand. 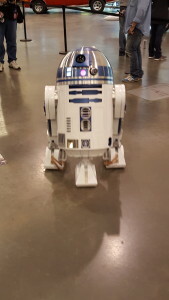 Fans can also check out panels including the R2-D2 Builders Club. December 15 – “Star Wars: The Last Jedi” theatrical release. Head to your local cinema to catch the latest Star Wars movie. During the first three days of the theatrical release of “Rogue One”, members of the Great Lakes Garrison visited movie theaters in Monroe, Livonia, Royal Oak, Traverse City, Saginaw, Novi, Rochester Hills, Marine City, Grand Blanc, Lansing, Jackson, and Grand Rapids.